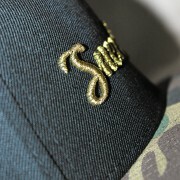 Features: Black Body, a flat green Camouflage bill, custom Gold puff- style embroidered logo on front. One size fits most. All proceeds of these CrownZ will be donated to organizations in the fight to eradicate homelessness among female veterans.